Blogs is Watching - A Seattle hip-hop lifestyle blog. 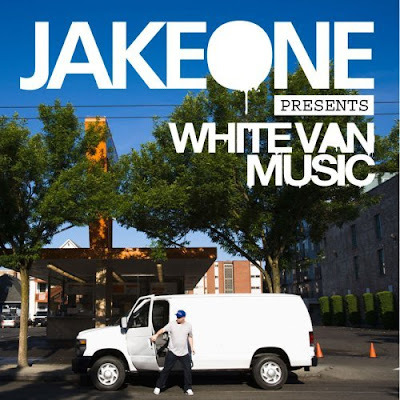 (SEATTLE HIP HOP): Jake One Presents "White Van Music"
Jake One Presents "White Van Music"
Seattle super producer and self proclaimed "great beat writer" Jake One steps from behind the boards to present his own debut full-length album, White Van Music. Polishing his production chops over the last decade, Jake One has crafted the musical soundscapes for everyone from De La Soul("Rock Co.Kane Flow" feat. MF DOOM) to 50 Cent ("All Of Me" feat. Mary J. Blige). With an impressive and diverse discography Jake One has managed to bring his sound from the underground to the Billboard Top 10 charts. Featuring an engaging cast of emerging underground artists as well as some of Hip Hop's most respected mainstream acts, Jake One's White Van Music will blur the so called lines between underground and mainstream Hip Hop... just as his stellar production career has.